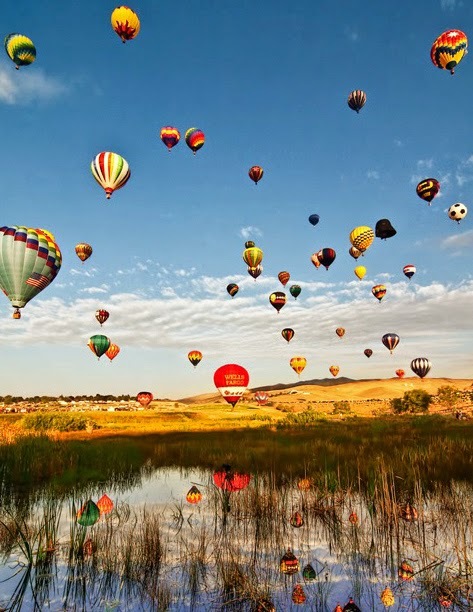 Billed as the largest free hot air ballooning event in the world, the Great Reno Balloon Race began in 1982 with just 20 balloons. The event has continued to rise in size, just like the balloons themselves. The 3-day event boasts an average attendance of 150,000 people. The event takes place September 5-7 at Rancho San Rafael Regional Park in Reno. Early morning in the calm air is the time to fly balloons. Therefore, the first events begin at 5:15am with the “Glow Show”. The “Dawn Patrol” takes off each day at 5:30am. Flying activities end at 10:00am. Dozens of balloons of all shapes and colors will be in attendance. Some balloons will be in the shape of animals or movie figures, others will be elaborately colored, and some will sport sponsor logos such as Dos Equis and Wells Fargo. Bring your family and camera to this early morning free show featuring bright colors, humorous shapes, and a blast of propane. Rancho San Rafael Regional Park is located in North Reno, 1595 N. Sierra Street.